Voted best preschool in 2018 by Fairfield Magazine Reader’s Choice Awards, SCP is an independent preschool providing preliminary education for children, ages two to five years old. We pride ourselves on being able to provide a warm and welcoming first step into preschool where children are loved and valued for their individuality. 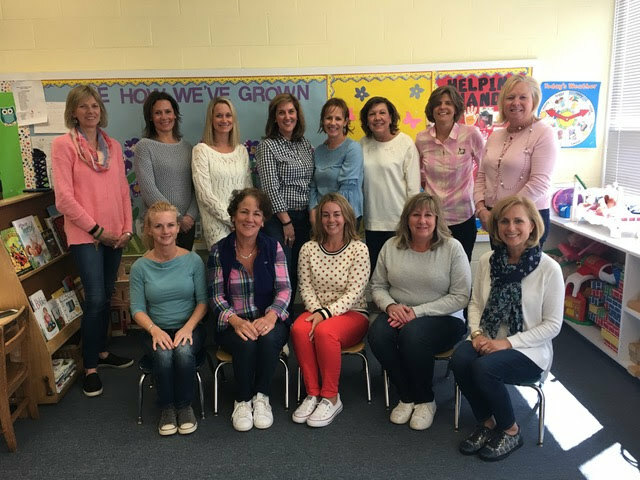 The Southport Congregational Preschool, established in 1983, believes a child’s first “school” experience should be a positive one. We strive to provide a safe, constructive and loving environment so that your child will enjoy coming to school each day. Our primary goal is to teach children socialization skills in small groups with plenty of teacher interaction. We maintain age-appropriate learning goals to encourage social and motor development and to develop verbal and cognitive skills. Children grow through daily classroom activities, playground interaction, music and creative movement programs as well as other enrichment programs. We have our best moments learning to play and work together creatively. The program does not discriminate on the basis of race, gender, or religion. Registration takes place in the fall for the upcoming program year. The program year begins in September and continues through May. 2 1/2 to 3 years. Our Two-Year- Old Program is a socialization-based program. Children three years of age can participate in our preschool program. Children four years of age can participate in our preschool program. Our Threes and Fours classrooms work through a theme-based curriculum. An optional extended day is offered to three and four year olds. Mother’s Day Celebration and much more! Set up a tour of our preschool and meet the team. We have been a Southport Congregational Preschool family for seven years, putting our three children through the program for the 2’s, 3’s, and 4’s. The teachers and staff at SCP are warm, affectionate, and extremely attentive. They foster a safe and friendly environment for children to make friends, learn independence, and gain confidence. Each morning our children were enthusiastically welcomed to school by their teacher and were excited to start a day filled with play and learning. Our children have truly flourished during these invaluable preschool years and we would unequivocally recommend SCP to any family looking for a loving environment for their preschool children to thrive and prosper. As a parent of three children, one currently enrolled and two that have graduated the program, I can say that each of them had a wonderful experience with fabulous teachers. From the Two’s program, which was a perfect first school experience, to the Fours with their enrichment programs like Science, Spanish, etc., my older children were extremely well prepared for Kindergarten. The teachers and the program are simply the best in the area. Our dedicated staff is sensitive to the needs of young children. 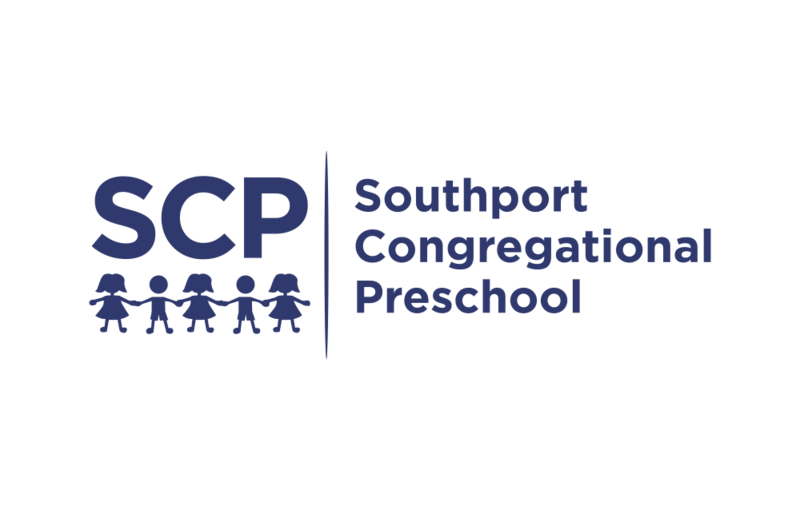 Under the supervision of the Southport Congregational Church and the Preschool Committee, we will provide a happy and enriching experience in a child centered environment. 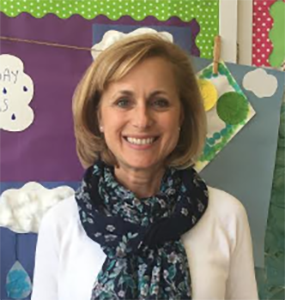 “Miss MaryBeth” has been teaching the young 2’s at SCP for twenty amazing, fun-filled years! She finds it so rewarding and fulfilling to see the children walk in with their big, bright smiles and to see how excited they are to come to school, and she considers it an honor to be a part of their first school experience. Plus, she just loves their hugs! MaryBeth grew up in Fairfield and currently resides in Monroe with her husband, Tim, and their two wonderful children named Samantha and Connor. 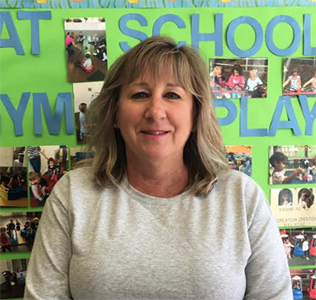 Aside from teaching, MaryBeth enjoys spending time with her family, taking her Jack Russell puppy named Lola on walks, reading, and going to the beach. “Miss Liz” has been teaching the five-day 4’s at SCP for 13 wonderful years. She loves that working with four year olds is such a fun and rewarding job – they make her laugh daily and give the best hugs! Liz and her husband, Bill, live in Monroe and have three beautiful children. She also loves spending time outdoors, hiking, going to the beach, and enjoying time with her family. “Miss Tess” has been teaching both the three-day 3’s and the two-day 3’s programs at SCP for 18 years, and she loves her job! She considers herself lucky to spend time every day with creative, imaginative little children that love to have fun – not a day goes by that they don’t make her laugh and smile. Tess especially loves the feeling she gets when she witnesses the children learning to share and communicate with their peers. She and her husband, Robert, live in Fairfield and have two amazing children and a grandson. Tess also enjoys caring for and riding her horse, hiking with her dogs, reading, gardening, and spending time with her family. “Miss Jenny” has been teaching the three-day 3’s at SCP for 3 years. 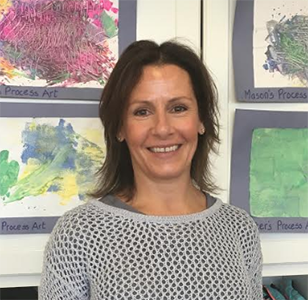 Jenny graduated from the University of Vermont with her degree in Elementary Education and joined the staff after raising her three daughters, Callie, Lizzie, and Ashley – all of whom attended SCP as children and have fond memories of their time there. Jenny and her husband, Greg, have been Fairfield residents for the past 25 years and currently reside there with their dog, Bailey. In her free time, she enjoys playing tennis, skiing, golfing, and travel, and is also a member of Southport Congregational Church. 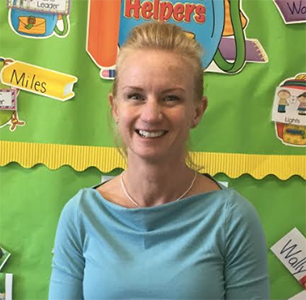 Jenny has enjoyed teaching at the school that had such a formative impact on her own children and shares her colleagues’ commitment to making SCP a nurturing learning environment for all its students. enjoys spending time with her husband and two teenage children, and taking advantage of all the wonderful restaurants, shops, beaches, and other fun events this great town has to offer. 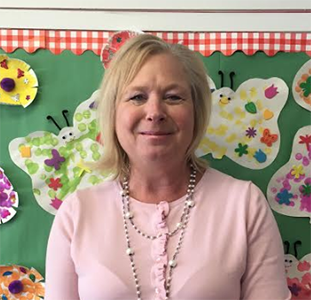 “Miss Anne P” has had the pleasure of teaching the 3-day 3’s at SCP for 7 years, and has also enjoyed assisting Miss MaryBeth with the 2-day 2’s this past year. Her experience at SCP has been very rewarding – and a lot of fun! She loves engaging with the children, watching them grow and learn, and especially laughing with them. 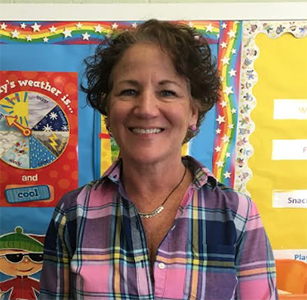 Anne and her husband have lived in Fairfield for 25 years, raising three wonderful children that attended and graduated from the Fairfield schools. 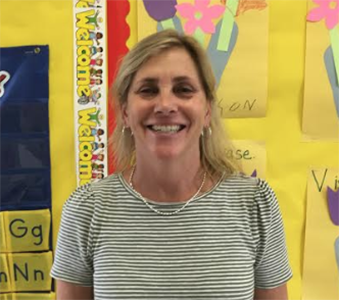 Prior to having children, she taught preschool and second grade in Greenwich. In her spare time, Anne enjoys yoga, caring for her pets, traveling, swimming, gardening, and spending time with her family. “Miss Sarah” has taught 3’s at SCP for the past 2 years, but she also taught here years ago – before she had five children! Those five children are three boys and identical twin girls. As you can imagine, Sarah loves kids, which is why she enjoys her job so much! 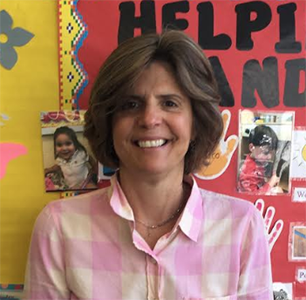 She has taught elementary education (PreK-5th grades) for almost 20 years in both Fairfield and Bridgeport, and is also currently a professor at Fairfield University for the Graduate School of Education and Allied Professions. Somehow she also finds time to mentor elementary education student teachers and facilitate evening classes! 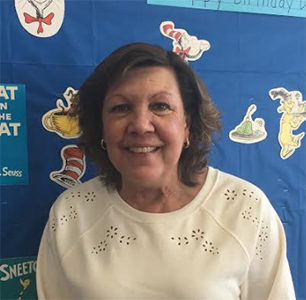 “Miss Anne O” has been at SCP for 3 years and currently teaches the 4-day 4’s, but she has been a teacher for over 30 years! 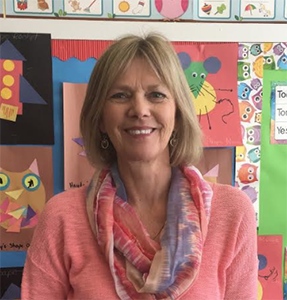 Prior to coming to SCP, she taught 1st grade, Kindergarten, and many years of preschool. Anne is also a tutor at Mercy Learning Center in Bridgeport, where she helps women learn to speak English. She has lived in Fairfield for 26 years and has two children – Ryan, 23, and Amanda, who is 19. In addition to teaching, she is very involved in her church and enjoys being outdoors in her free time. “Miss Kari” teaches the 5-day 4’s and has enjoyed working at SCP for 16 years. She loves teaching children and is happy that her job enables her to spend every day with them! Kari is married and has three grown children of her own. In her spare time, she likes watching the Mets play and going to games with her family. “Miss Judy” has been assisting Miss MaryBeth with the young 2’s at SCP for 18 amazing years! She and her husband, John, have two boys – Johnny (24) and Ryan (23) – that also attended and loved SCP as children. Judy looks forward each day to seeing the children’s smiles and receiving the wonderful hugs they give her. Although she is a Fairfield native, Judy and her family recently moved to Shelton with her dogs and cat. 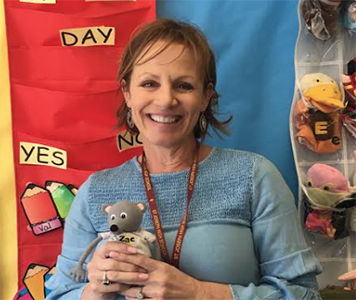 “Miss Kim” joined the SCP family this past year, and is passionate about helping young children learn. She loves knowing that she is a part of ensuring that the children of SCP grow into responsible, competent learners. Kim and her husband live in Southport with their two boys (ages 19 and 16), two cats, and a dog. In her free time you can find her at the beach, running, playing tennis, and cheering on her boys in their various sports. 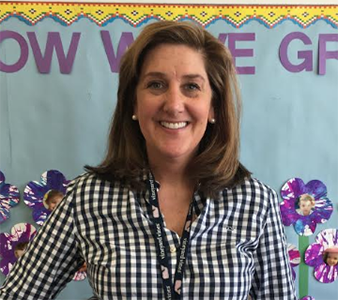 “Miss Dara” joined the SCP team assisting in th 3-day 3’s class with Miss Tess two years ago, and had previously taught children from preschool through 5th grade. For the past 25 years Dara and her husband have lived in Fairfield, where she enjoyed raising their three daughters while also indulging in many volunteer, self-enrichment, and continuing education activities. Outside of SCP, she can be found in the art studio! Expression through the creative process is especially dear to Dara, as she is an active acrylics and watercolor painter that has shown work in many local shows – including “Rooms With a View” at Southport Congregational Church. Now an empty nester, with the exception of their little dog, Pixie, she and her husband are enjoying this new stage of their life as they travel and plan trips to visit their daughters and extended family. Dara’s other favorite pastimes include hiking at beautiful places, long walks at the beach, and practicing yoga. She loves being a part of the SCP community, where she gets to share her creativity, enthusiasm, and nurturing nature while witnessing the rewards of having an impact on the growth and development of young children. She finds being greeted in the morning by eager, bright-eyed 3 year olds one of her greatest pleasures!